When our son, Shiloh, was killed in a hit-and-run accident (November 22, 2015), he’d been to Kenya 4 times for a total of about one year, studying and doing research for his graduate degrees, looking for ways to help the people and landscapes he loved, and making special friendships as he always did wherever he went. 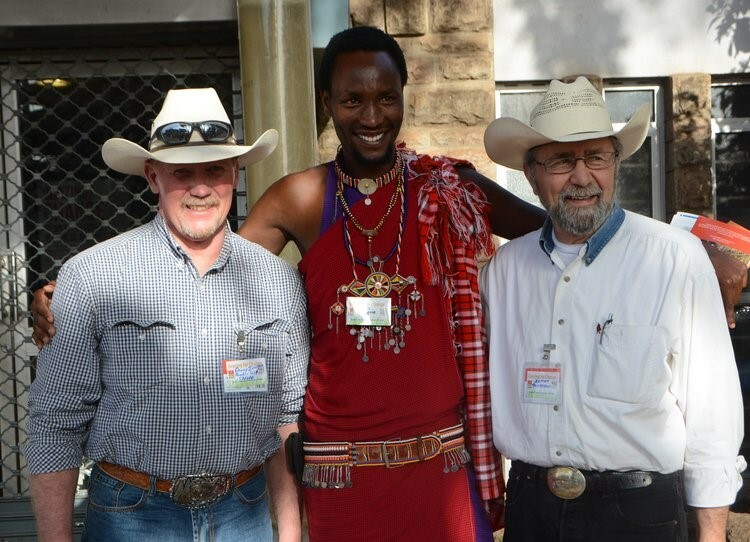 Each time he returned home he would say to me, “Dad, when we go to Kenya, I’m going to show you…I’m going to introduce you…I’m going to take you…” all with such enthusiasm and excitement. Now, we have just returned home from taking that trip, without him in person, but with his constant companionship in spirit. Our Team of 13 plus our wonderful Kenyan hosts was made up of 4 Professors, 2 of their daughters. 3 graduate students, Shiloh’s mother, our video/photo expert, a rancher from Montana’s Blackfoot Challenge, and myself. Ten days on some of the roughest roads I’ve ever traveled gave us our daily, “Kenyan massages,” and challenged our stamina and endurance. At the end of every day or segment of this travel, there was always a community, a family, or an exotic place to spend the night waiting for us, always with a warm and gracious welcome, and almost always with folks who’d known Shiloh. While on the trip, it became very clear that he left behind three major things that comprise his legacy and his contributions to the future. The first was momentum. Many times when people leave us in this way, it brings closure to their life’s work which is then archived or forgotten. What he provided is a very significant “work in progress” which continues to involve those he had recruited and inspire new people, attracted by its values and prospects for positive change developed in practice. The second was an incredible number of connections with so many people of all walks of life, all waiting for him to return and engage with them in these endeavors. And, the third thing that tied it all together was the articulation of a vision that says we can and must have both productivity and protection on the same landscapes. If one or the other is lacking or ignored, then there is no way to avoid conflict, as each side jockeys for winning rather than sharing, and the goals of cultural, economic, and resource sustainability can never be achieved. Two of the highlights of the trip for me were in the socio-economic realm. The first of these was the Women’s Milk Co-operative in Bisil. This was started only a few years ago to provide a marketing outlet for milk, the primary product of the livestock basis of Maasai life. The men own the cows, and the women own the milk, but until this Co-op was formed they did not have a way of providing reliable income from this source for their families. The accompanying photo is of Shiloh’s “Milk Ladies” – his friends and the officers of the cooperative which now consists of over 700 members. 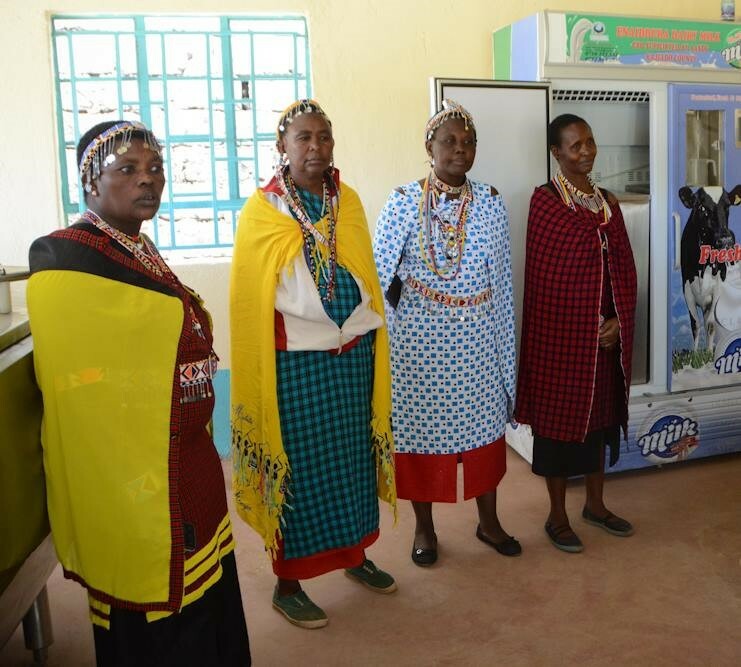 They are pictured standing in the new collection facility, recently constructed to make their community-based business more useful and able to serve the needs of the women who produce the milk and families as far away as the capital city of Nairobi who need its nutrition. Through donations to Shiloh’s Memorial Fund, we were able to provide the final $3,000 needed to complete the facility. This is located in the community where Shiloh often stayed and where he had some of his closest friends, especially among the children. 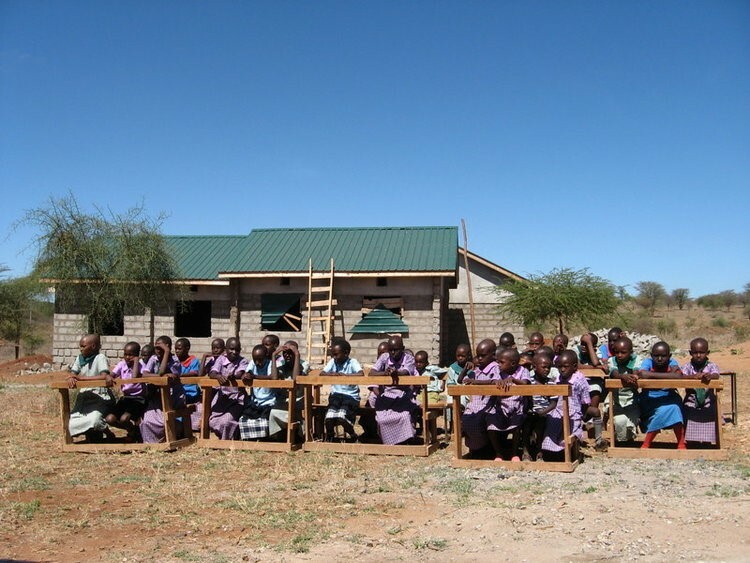 He promised that when he finished his college work and made some money, he would pay for and provide a new classroom. This addition would allow for the school to add another level for the students. His family, relatives, and friends collected donations in his memory to accomplish this goal, and raised $9,500 needed to fund construction and supply the furnishings. 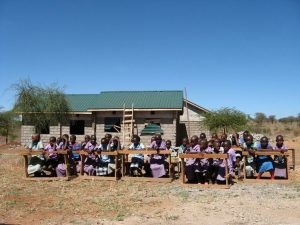 The Classroom was finished in time for our Team to be present for its dedication as a grand finale to our journey through Maasailand. The happiest and most emotional point of the trip for me came when the children of the school sang this song (below) which they memorized and were helped to write by one of the teachers. For comments or more information about this story – please contact Johnny Sundstrom at siwash@pioneer.net.